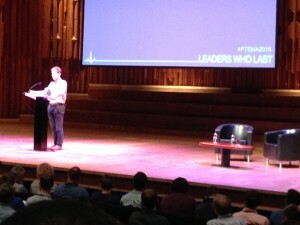 For Tuesday through to Thursday I (John) am at a conference for Pastors in London – the Evangelical Ministry Assembly. This year’s theme is ‘Leaders who last’, which is proving to be timely. I was particularly struck by the lessons Vaughan Roberts drew out from the life of John Newton, about perseverence. In order to ‘always delight in God’s grace’ and ‘keep looking to Christ’ we must ‘be disciplined in devotion’. I am finding my devotions hard at the moment and struggling to delight in the Lord. Please pray for me, and for all of us in Sri Lanka, that my Sabbatical will be a time of spiritual refreshment and recultivating spiritual disciplines, such as bible reading and prayer. Hi John its the Rabbitoh supporter here. Just in conversation about your “struggle ” and believe it or not I remembered something from the Martin Lloyd Jones tapes I listened to as I was driving around Sydney. He often recalled this little Welsh man who prayed before and after gatherings – great or small. On one particular Sunday he had been preaching in a little church somewhere in England and he was tired. The little Welshman was part of of the service and did his thing, again, praying for refreshment for the speakers. He was never deep and meaningful but it became deep and meaningful for the recipients of that refreshment – so before you go you must search for a little Welsh man that has the ear of our Father in heaven and get him to pray for you and yours. I will do my best to imitate the little Welshman here. Great to hear from you Cam. Thank you so much – we need lots more little welshmen. Although not in the Euros. Please keep praying.